Firouzmandan house is located in Lar city, with-a-hot-and-humid-climate, which is part of Fars province in Iran. 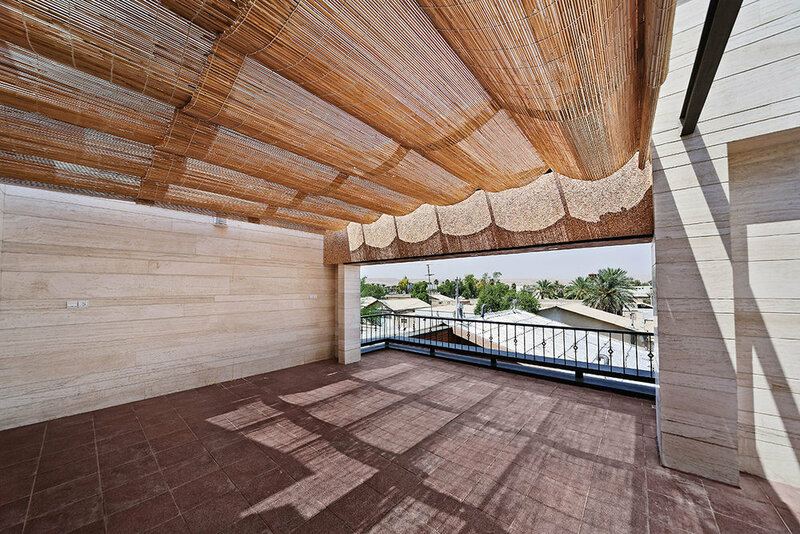 Lar, a historical city in Fars has suffered from an earthquake in 1960; temporary-shelters with saddle-roofs were prepared for the earthquake survivors in the south part of the old city. When the city was rebuilt (based-on-a-grid-plan) the municipality decided to keep temporary-shelters. 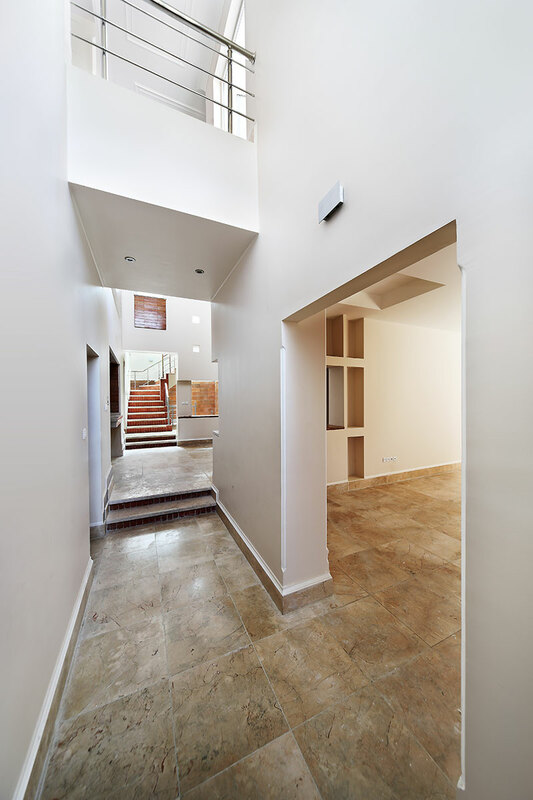 The new houses were built based on the closed-space to an open-space ratio of 60% to 40%, respectively. This house is designed for Firouzmandan family on a 460 square-meter-site in three levels of underground-floor, ground-floor and first-floor. This project is inspired by an Iranian-traditional-housing-pattern called “Chaharsofe” - a pattern in which a small open-space is surrounded by the closed-spaces. The open-space in “Chaharsofe” is relatively smaller than the open-space in a so-called “courtyard pattern”. Furthermore, an additional relatively large open-space is attached to the side of the “Chaharsofe”. This pattern does not only favor the closed-space to the open-space ratio of 60% to 40% regulation but is also more adjusted to the hot-and-humid climate of Lar. The big yard of the house is divided into several small open-spaces providing an easier flow of activities, such as kids playing around the yard, and gathering of the family. These open-spaces are not individual spaces; rather they are linked into each-other to create a collection of them. On-the-other-hand, every single one of these open-spaces connects to a number of closed-spaces so that the interaction between the closed and open-spaces make the house more adaptable to users’ different needs.